In a market saturated with American films, we often forget there are many excellent, prolific, and award-winning directors outside the borders of North America. 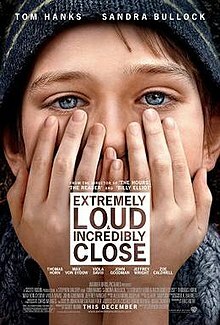 This is probably due to the entirety of foreign cinema being contained in a single Oscar category: Best Foreign Film. Because these films are simplified to the equivalent of a “Best Picture” category, their directors are often unrecognized for their efforts, especially after many years of multiple wins. After 1956, when the Best Foreign Film category finally became more than an honorary award, few directors have had multiple wins. Second only to Federico Fellini, Ingmar Bergman has had the most Best Foreign Film wins in the Academy’s history (again, not considering the honorary awards before 1956). This week’s two films highlight some of the best of Bergman’s work. 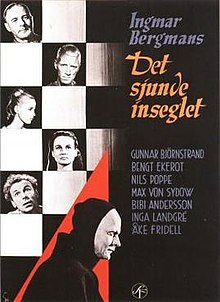 Even though it was not accepted as one of the nominees for Best Foreign Film, The Seventh Seal (1957) was Sweden’s second unsuccessful submission for the award. A mere three years later, Bergman’s film, The Virgin Spring (1960), would go on to win the first of Sweden’s three Oscars. The next year, Bergman was able to recreate the feat with Through a Glass Darkly (1961). And while Sweden has been nominated for the prestigious award many times, only Bergman’s films have managed to claim that gold statue for his country. However, even if The Seventh Seal didn’t win any awards, it is considered by most to be Bergman’s best-known and most influential work. The iconic chess match between a knight of the Crusades and Death personified has reappeared in many forms since it hit the screen in the late 1950s. As was the case with many of Bergman’s other films, The Seventh Seal focuses on death, and not just the personified incarnation portrayed by Bengt Ekerot. The death that had come to Sweden was that of severe illness: the black plague. Many in the country had started to falter in their faith, especially Antonius Block (Max von Sydow), a knight who had just returned home from the Crusades. In his new, bleak view of the world, Block’s visions of Death make him seem insane to the casual observer, but his goal is to stay the inevitable grip of Death for just a while longer, hoping to save someone in the process. Fortunately, their game of chess draws out long enough that a few traveling actors can survive the “danse macabre” that Death takes most of them on, leading to their irreversible demise. 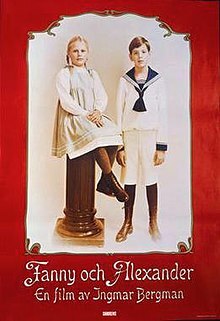 The third Best Foreign Film Oscar Bergman earned for Sweden came more than two decades later with Fanny and Alexander (1982). A decade before this win, Bergman’s Cries and Whispers (1974) managed to transcend its “Foreign” status and became his first film to be nominated for the top award: Best Picture. Even if these films are occasionally nominated for the highest award, they have yet to win this penultimate designation. This film also marked Bergman’s first nomination for Best Director. Three years later, he would be nominated again for Face to Face (1977). His final nomination for Best Director would come with his third “Best Foreign Film,” the aforementioned Fanny and Alexander. This was also the last in a string of Best Original Screenplay nominations Bergman had received through his illustrious career. Fanny (Pernilla Allwin) and Alexander (Bertil Guve) are the titular characters in this turn-of-the-century family drama. When their father dies from a stroke, their now-widowed mother, Emilie (Ewa Fröling), sets out to re-marry. Finding a partner in the widower bishop, Edvard (Jan Malmsjö), the two get married, and she moves her family into his strict and disciplined home. Finding that she cannot enliven the stuffy bishop’s house, Emilie can do nothing but watch as her children’s new stepfather hands out harsh discipline. In particular, Alexander and Edvard are constantly clashing, the latter punishing the former for creating false stories about him. Unable to obtain a divorce, Emilie is eventually able to run away with her two children, and the one she is expecting. Finally free from the bishop, the family can start over again, a new daughter now part of its makeup.